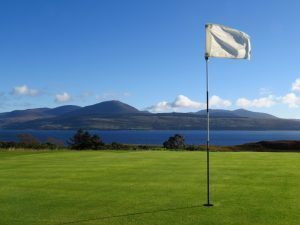 Carradale Golf Club, founded in 1906, is regarded by many as one of the Golf Course gems in Scotland yet fairly unknown. It is located on the east coast of the Kintyre peninsula with panoramic views across the Kilbrannan Sound towards the Isle of Arran. Although only a 9 hole heathland/moorland course, each one has its own feature and is very popular with the local and visiting players. It is a tricky course with small greens and natural hazards which can test even the experienced golfer. It has been described as the ‘most sporting nine-hole course in Scotland’. The 6th hole (Pudding Bowl) has recently featured on the Signature Special Hole Golf website. Please note white and red tees are for competitive play and yellow and blue are for social golf. Children are also made most welcome and during the summer months it is not unusual to see complete families tackling the course. The Clubhouse provides excellent changing facilities with golf trolleys and clubs available for hire by prior arrangement with Greenkeeper Robert Strang (07751 691966). There are a number of accommodation providers, restaurants and tea rooms in the village and surrounding area. Please check our accommodation page for full details. 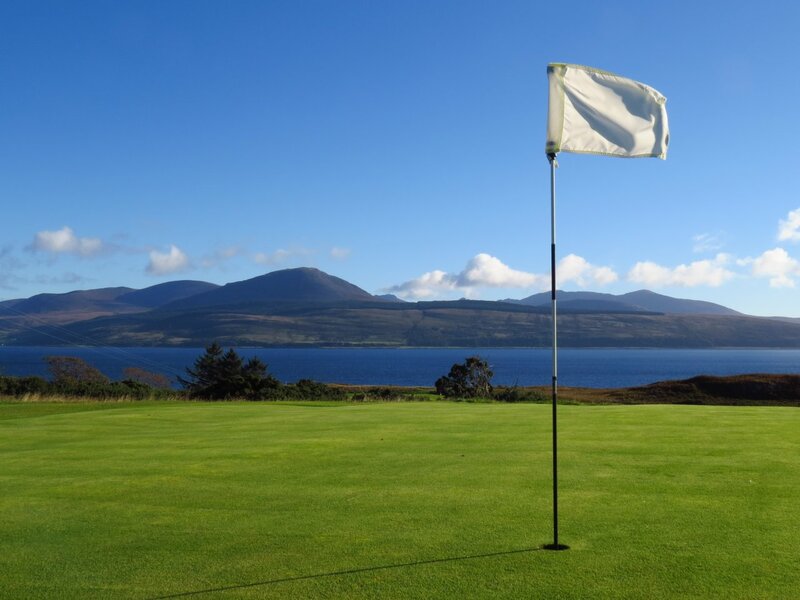 Within easy reach of Carradale, golf is also available at Machrihanish, , Machrihanish Dunes, Dunaverty and Tarbert. The Club hosts a number of Open competitions throughout the year – see our fixture list. An adult day ticket costs just £25, whilst a round (9 holes) costs £15. A junior’s day ticket costs £15 (secondary pupils) or £10 (primary pupils), whilst a round (9 holes) is £10 (secondary pupils) or £5 (primary pupils). Above all, a warm welcome awaits you when you visit Carradale.